You don’t want to mess with Arctic warming. It’s an engine of destruction straining to be set loose. A mad burning beast of a thing. One whose fires we are now in the process of stoking to dangerous extremes. Don’t believe me? Then just listen to top scientists like Dr. Jennifer Francis, Dr. Jason Box, Dr. Jeff Masters, Dr. Natalia Shakhova, Dr. Igor Semiletov, Dr. Peter Wadhams, Dr. James Hansen, Dr. Steve Vavrus, Dr. Ron Prinn, Dr. Kevin Schaefer, Dr. Nikita Zimov, Dr. Jorien Vonk, and a growing list of many, many more (also see above video). Snow and sea ice melt resulting in darker surfaces absorbing more sunlight during summer times, a warming global ocean system transporting a high percentage of the added heat north and southward along the ocean bottom and at the surface, rising temperatures in the Arctic slowing and increasing the waviness of the Jet Stream which generates more south to north transfer of temperate and tropical warmth into the Arctic together with a greater export of Arctic cold to the lower latitudes, added greenhouse gasses resulting in much warmer Arctic winters during the times of darkness when greenhouse gas trapping of long wave radiation is most efficient, and an increasing release of carbon from stores sequestered in the Arctic for millions of years, adding to the overall greenhouse gas burden in this, very sensitive, region. Many of these feedbacks and resulting weather alterations are now in play. We have observed sea ice reductions of up to 80 percent in total volume losses together with major snow cover reductions since the 1970s. We have observed substantial and growing releases of methane from the Arctic environment in the form of emissions in the region of the submerged permafrost on the East Siberian Arctic Shelf. We have witnessed strange methane emissions emerging in the smoke of major wildfires that have spread over large regions of the Arctic during summer. We’ve seen very troubling emissions in the form of methane eruptions coming from the permafrost and possibly reaching as deep as the methane clathrate layer beneath the permafrost. 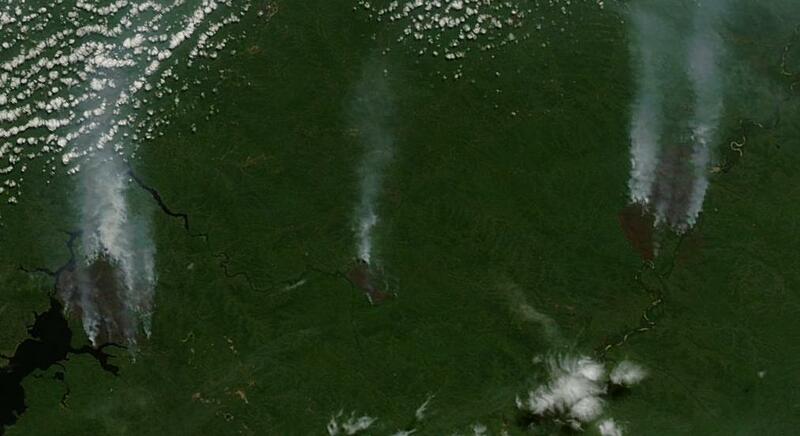 We’ve seen increasing methane releases from permafrost melt lakes. And we’ve seen increasing CO2 emissions from the dry decay of permafrost and from the direct burning of permafrost and boreal forests by Arctic wildfires. In total, according to scientists in the above video, under an unmitigated and continuously rising heat forcing from human greenhouse gas emissions, the Arctic could release 120 gigatons of carbon or more by the end of this century. Given that humans now dump 13 gigatons of carbon into the atmosphere each year, the Arctic emission would be like adding another decade of current human emissions on top of an already rapidly warming system. Even worse, a significant portion of the Arctic carbon emission could appear in the form of methane — a gas that traps heat far more rapidly than CO2, equaling a heat forcing that is about 60 times CO2 by volume. It is important to note that, though strange and terrifying as they may be, current Arctic feedbacks and related carbon emissions are minor when compared to the changes we will unlock if we continue to release greenhouse gasses into the atmosphere. Under BAU, it is possible that we will set in place a regime of Arctic carbon emissions that is equal to 30% or more of the current human greenhouse gas emission. This sizeable release would likely then last for centuries until much of the Arctic carbon store of 1,500+ gigatons locked in permafrost and untold other gigatons locked in clathrates were exhausted. Such releases would result in a mini-runaway that could lock in dangerous hothouse climate conditions for millions of years to come. Due to the extreme nature of the current situation, some damage is now unavoidable, as we probably hit at least 2-3 C warming long term even if human greenhouse gas emissions suddenly halt. But major damage can still be prevented through direct and coordinated action on the part of nations. For this reason, climate scientists are calling for an 80% or greater reduction in near term human greenhouse gas emissions. A strong direct urging from some of the best scientists in the world and one that we should take very seriously as it is becoming increasingly obvious that the Arctic is now in the process of crossing a number of extremely dangerous tipping points. I implore you to watch the above video and to do everything in your power to support policies that rapidly draw down the human greenhouse gas emission. Our timeframe window for effective response is rapidly closing and we need swift, direct action now. 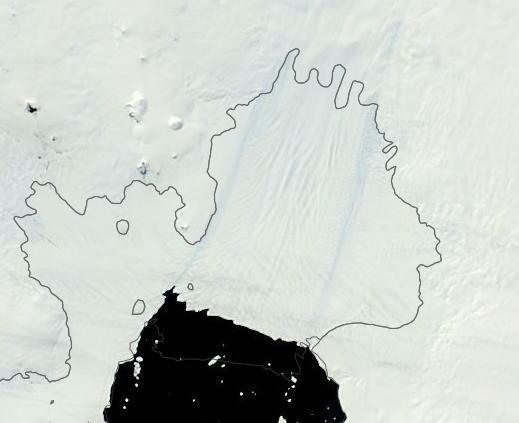 Among Antarctica’s most vulnerable ice shelves, the Pine Island Glacier (PIG) is a massive feature. 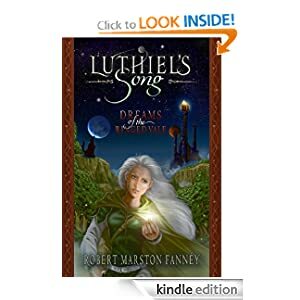 It rests on sloped terrain that is mostly below sea level even as it spills out into the southern ocean through a nearby bay, calving great icebergs that then slowly ride out, like floating ice faerie castles, into the stormy seas. In total, the shelf covers 160,000 square miles, an area two thirds the size of Great Britain. The Pine Island Glacier is vulnerable for many reasons. It rests on sloped land that tilts it toward the warming seas. Much of it rests below sea level, making its underbelly open to the assaults of the upwelling currents of a rapidly warming ocean. As portions of the under-structure melt, the glacier becomes buoyant, floating on surface waters subject to waves, winds and currents which adds further stress to inland structures. A few anchors held the great glacier in place over the millenia. The great pressure of ice pushing down shoved the glacier deep into the underlying Earth, for the most part, sticking it in place as it only slowly ground toward the sea. But now these anchoring features are disintegrating, the warming waters rushing in from underneath, lubricating the ice bottom. The slope, the gravity, the long tongues of ice entering the ocean are all coming into play. The great ice sheet is in motion. A motion that scientists now conclude will not stop until the entire glacier collapses into the heating waters. That the Pine Island Glacier was one of Antarctica’s most sensitive to human warming has long been well known to scientists. The geographic features surrounding the glacier, the relatively high angle of slope tipping the glacier toward the ocean, and the large section of the ice shelf below sea level all attracted interest, questions and research. By the mid 1990s, records of massive melt coming from the Pine Island Glacier began, with upwards of 10 cubic kilometers of ice observed to be lost each year. With ice loss rates continuing to increase, more efforts focused on determining the glacier’s ultimate fate. By the mid to late 2000s, average net ice loss rates were over 20 cubic kilometers per year. At about the same time, in 2001, 2007, and 2013, three great icebergs calved off of Pine Island. These were massive bergs, averaging over 2000 square kilometers in size. Though large iceberg calving from the Pine Island Glacier was historically typical, the size and frequency of these amazing events were enough to raise eyebrows and add to already rampant speculation that the Glacier may well be headed toward an inexorable collapse. By 2010, studies were beginning to come in showing that the Pine Island Glacier was experiencing a rapid melt from underneath. Warming deep ocean currents were upwelling from the Amundsen Sea to erode the glacier’s base. Ice loss from this basal melt was estimated to be even greater than that observed through the increasingly rapid motion of the glacier and related large ocean calving events. Basal melt was also shown to be undermining the glacier, pushing deeper and deeper beneath the ice shelf and driving ocean water further into the continent. The mechanism for this increased basal melt came directly from a human warming of the deep ocean surrounding Antarctica. Accelerated deep ocean warming was coming more and more into play as human atmospheric heating transferred through the ocean surface and into the depths. In the Antarctic, a massive pool of warm water developed in the depths surrounding the continent. The warmer water gathered beneath a fresher, colder layer that kept a lid on the warmth, forcing it toward the bottom. 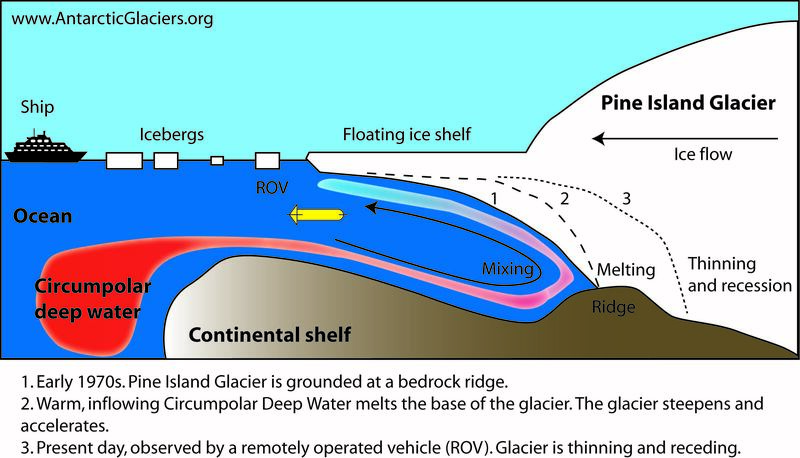 But near the continents, the dynamics of ocean currents and coastal mixing brought this warm water up to contact the coast and, in this case, the base of the Pine Island Glacier. A Nature Geoscience study led by Dr. Adrian Jenkins found progressive basal melt due to the action and heat transfer of this warm, upwelling water (see image above). The evidence collected seemed grim. 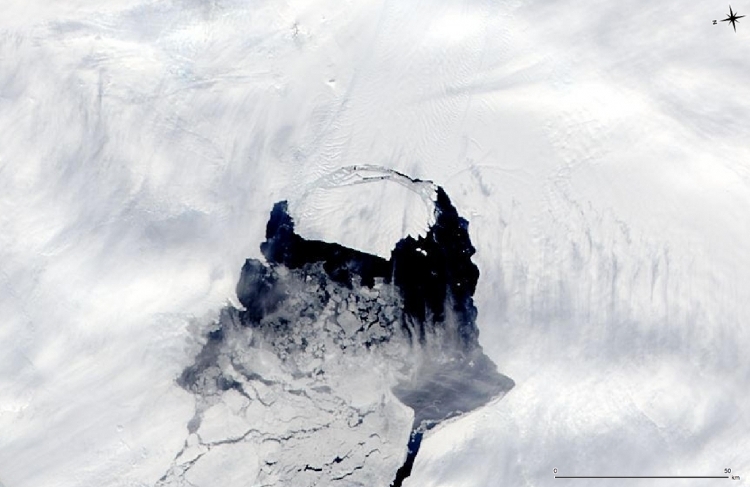 It appeared that the Pine Island Glacier may well be in the first stages of disintegration. But more comprehensive study was needed before conclusions could be drawn. By 2013, enough information had been collected to start making model runs to determine the ice sheet’s ultimate fate. And, recently, three teams of scientists took up the task. The results of these model runs were stark. They showed that, no matter what, Pine Island’s Glacier was probably suffering from the early stages of an irreversible collapse. In other words, even if the climate somehow miraculously cooled or if the warming ocean somehow managed to melt less ice at the base of the Pine Island Glacier, the glacier would still ultimately destabilize and collapse. This is hard news, as it has implications for the rest of West Antarctica and, ultimately, about 25 feet worth of sea level rise now locked in the ice. 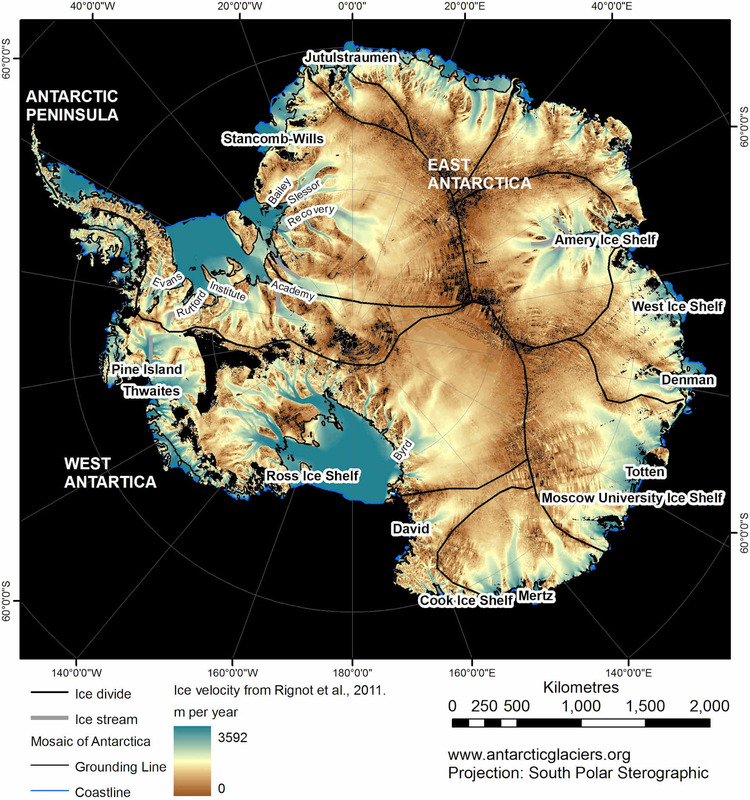 As noted above, the Pine Island Glacier is a massive section of West Antarctica. It is responsible for the draining of about 20% of this section of the continent’s Ice and is one of the primary barriers preventing rapid sea level rise. It is the first domino to start falling. But other dominoes sit in series behind it. The beginning of PIG’s catastrophic collapse will also likely have major implications for Antarctica’s net ice loss. Gudmundsson’s group found that average melt rates from the Pine Island Glacier are expected to more than quadruple over the next 20 years, increasing to over 100 cubic kilometers of ice loss each year. Total sea level contribution from the Pine Island Glacier alone could be as much as 10 millimeters over the same period, according to model assessments. This is a large contribution from just one ice sheet. A contribution that is not yet accounted for in global climate simulations for sea level rise. And we have yet to take into account potential additions from other Antarctic melt sources like the adjacent Thwaites glacier or the large glaciers that drain into the Ross Ice Shelf. In short, if Pine Island has reached the point of no return, then the rest of West Antarctica may well be soon to follow.